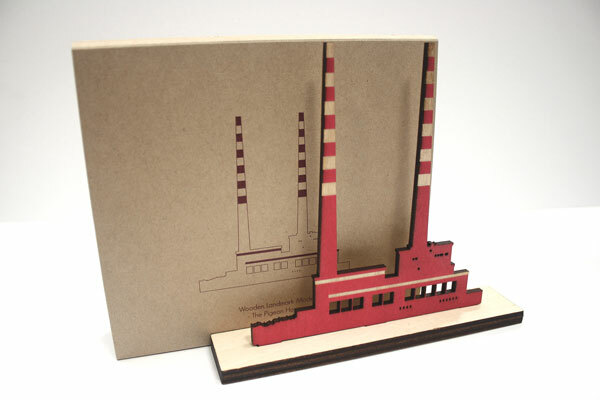 Check out our collection of Dublin's most iconic decomissioned power source. We have updated our Pigeon House Model. It is now made of red painted plywood with engraved details. This model now comes in a nice cardboard sleeve. 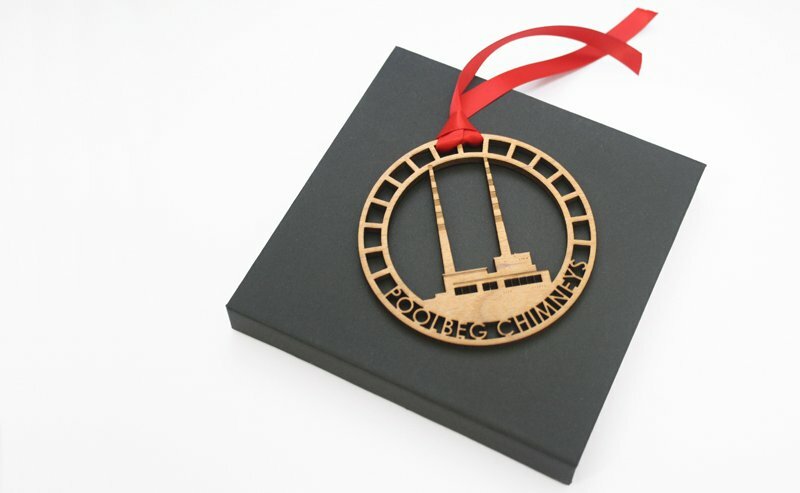 This ornament makes for a great ready to go gift with its classy matchbox style box. 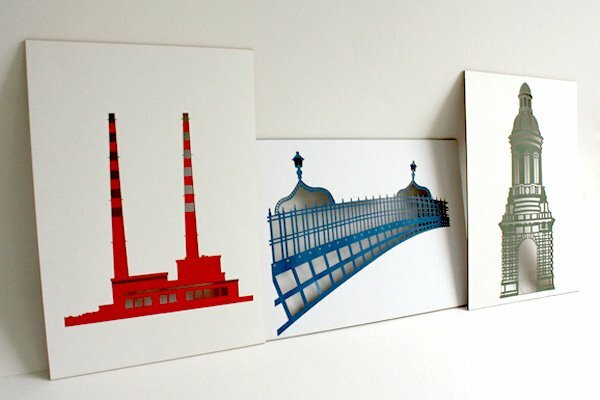 Our best ever selling product is the layered poolbeg poster.